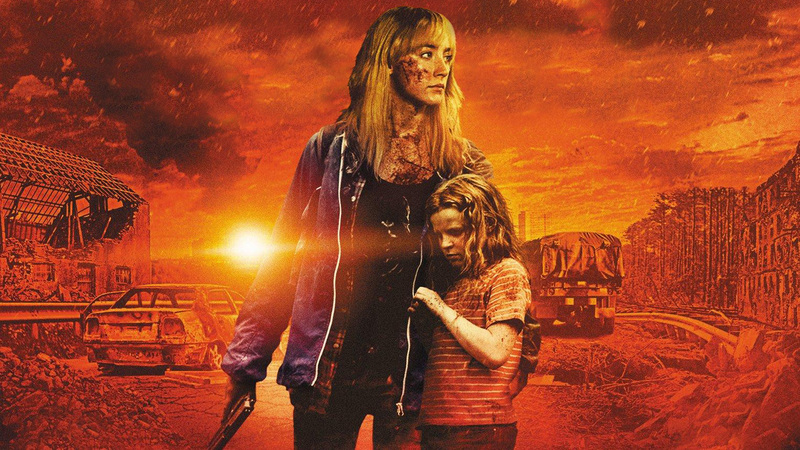 HOW I LIVE NOW —–teenager-oriented apocalypse sliver from 2013, taken from a Young Adult novel, has a obnoxiously rude American girl going to live with relatives in rural England just when World War Something breaks out. The kids struggle to survive. Some make it. Decently reviewed, miniature-sized, love-conquers-trauma story that eschews big effects by downsizing the what-would-it-be-like? angle to a handful of characters in a limited setting, as they deal with martial law, scarce resources and rampant disorder. Unfairness hits home to the sheltered. Adeptly handled (director Kevin MacDonald) 101 minutes with some effective scenes (the segment depicting the rush of wind through a forest, announcing a nuclear blast many miles away is quite good) but the kids aren’t interesting, and the lead, though well-played by Saoirse Ronan, is so off-putting, and the other children’s reactions to her so unlikely that I didn’t give a damn whether she made it out alive & wise or not. It has a following. I’ll stick with Katniss…..